In 2005, Orange was facing increased competition and organisational challenges as mobile telephony, broadband and TV started to "converge". But the rapid expansion of the company, which had led to growth in the number of reporting levels and pay structures, had resulted in an unwieldy structure which frustrated almost everyone. An organisational redesign and an accompanying new reward structure were needed to help the organisation become more agile and responsive to the market, as well as more cost efficient. A new director of reward and pensions, with experience in the retail sector, instigated an organisational restructure based on work levels, which focused on taking out unnecessary layers of management and ultimately saving head count and the costs associated with this. Once the new organisational structure design had been approved, a new pay and grading structure was put in place, underpinned by and benchmarked against Watson Wyatt’s global grading system. Unusually, organisation design and grades have been separated with no read across from work level to pay grade. This is because Orange employs many technical specialists with scarce skills who it does not wish to reward as managers. 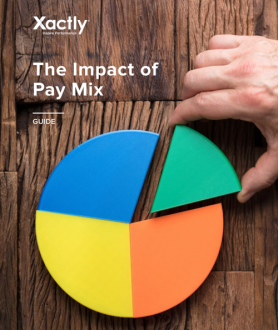 The pay structure recognises both management and individual contributor (specialist/technical) roles, while the organisational structure recognises decision-making accountability. For more details see our review, published in the 'News' section of e-reward.co.uk, 15 January 2007.